Here are the pictures of the chick side of the coop! The doors and exterior are not finished quite yet. The interior center slat wall is made from pallet wood. The chick crates my husband got free from his work. There are also a few pictures of the 8 nest boxes he has made me so far. He made them from I beam scraps. 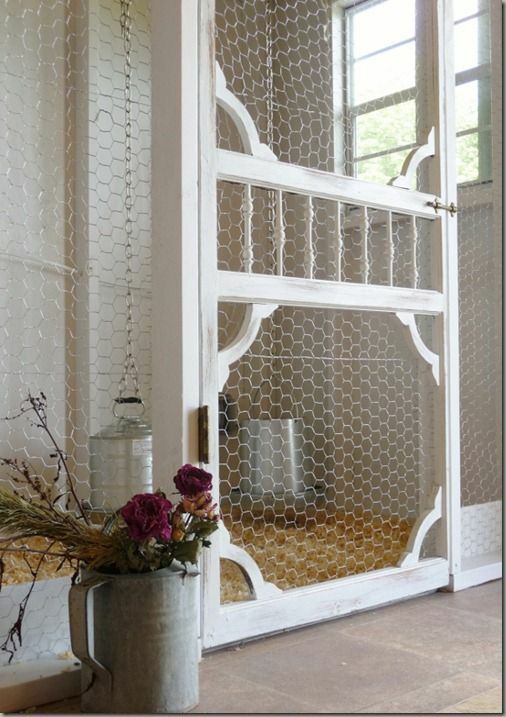 My favorite part of the coop is the pallet slat door he made in between the hen and chick sections. So the chickens have lived in the coop all winter. Well the hens have anyway. But everyone got booted outside this week while the weather has been 75 degrees! The temporary pallet walls and plastic all came down and the real walls, siding, and roof all went up. Today Kevin was working on the finishing touches to the wall separating the two sections of the coop. He’s using recycled wood from pallets to create a see through wall. I love it! The foundation of the coop is made from recycled steel posts from one of the solar job sites. I always love it when we can incorporate used/recycled objects in our constructing. We will be tiling the floor soon and then the birds get to move back in. Right now they are under the roof eave in our transport cage. The small animal barn is made in a similar fashion. Recycled steal posts from solar job sites and the stalls inside will be constructed from pallets. It’s coming along nicely as well. Everything is a mess but it’s a construction zone. Trim and finishing touches will all come later. We ordered 16 eggs, 6 blue eggs didn’t hatch, 3 brown egg didn’t hatch, and 7 chicks did hatch. 3 Black Copper Marans and 4 Welsummers were the result of our first experience hatching chicks. Now we have 24 blue eggs in the incubator and we are looking forward to more baby chicks. We started building the chicken coop! It’s not quite finished yet. We still need to put the roofing, siding, and a real door on it but we moved the hens and puppies inside anyway. It’s perfect for them for now. Keeps everyone out of the wind and there’s electric to keep the water from freezing. Twilight is checking out the birdies! Here’s a pic of the keets and chicks after a few weeks. We love the taste of free range chicken. The grease is so delicious and good for the body. The taste is amazing and it’s hard to eat conventional chicken again once you’ve eaten true free range chicken. For our family we need 100 broilers a year for meat. Cornish cross broilers you only need to raise for 5-7 weeks before you harvest them. Heritage breed chickens take up to 12 weeks to grow out. One bird needs 2-3 sq feet of space in a coop depending on the breed. 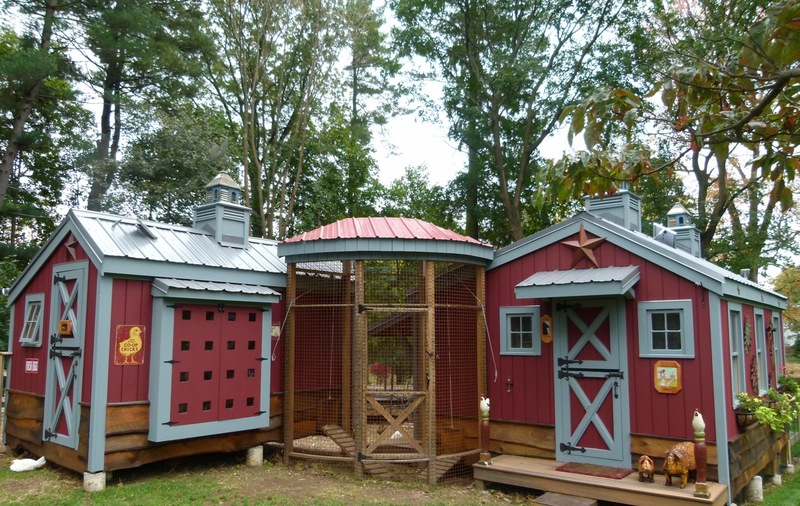 For our farm we want a moveable coop to make the chickens a working part of the whole farm. Our plan is to grow broilers from April-June in a moveable coop free ranging during the day, and in the coop at night. The coop also needs to work for winter for our laying hens. So we searched google looking for ideas for moveable coops and here are a few ideas. So above were all the pictures of the chicken coop trailers. Now I just need to figure out how to combine the trailer with some nicer design aspects like pictured below. Great website with pictures on how to process free range chickens!